Did you know that Kurri Kurri had mandolin and symphony orchestras, and Cessnock a symphony orchestra, or that Newcastle was once considered the brass band capital of Australia? The immigrants from the British Isles, especially from the north of England formed the brass bands, while the Kurri Kurri Mandolin Orchestra, Kurri Kurri Symphony Orchestra and the Cessnock Symphony Orchestra were founded by a Jewish Russian immigrant, Jascha Gopinko. Mine workers and their families, as well as other members of the communities played in the bands and the orchestras. Most of the members of the orchestra were mine workers. Here you can see a rare photo from our collections showing the members of the orchestra in Russian costume. Newspaper accounts place the Kurri Kurri Symphony Orchestra between the 1920s and 1940s. For example, on 5 October 1928, the Cessnock Eagle and South Maitland Recorder reported that the orchestra was on its way to compete in the Ballarat festival. On 28 October 1937, the Catholic Press reported that the orchestra played a delightful overture at the annual convert in aid of St Joseph's Church, East Maitland, and on 28 April 1944, the Cessnock Eagle ... noted that the orchestra had featured in the Red Cross Concert in the School of Arts, Kurri Kurri. Journalists in the 1930s expressed surprise that the great musician, Bernard Heinze discovered that the coal town of Cessnock had a full symphony orchestra of 36 performers, and that in the orchestra was a virtuoso violinist. Like the Kurri Kurri Symphony, the Cessnock Symphony flourished from the 1930s-1940s. Jascha Gopinko was a violinist, violin teacher and orchestra conductor who founded several musical groups on the coalfields, including the Kurri Kurri Mandolin Orchestra, the Kurri Kurri Symphony Orchestra and the Cessnock Symphony Orchestra. Gopinko was born on 15 December 1891 near Mogilev, Ukraine, Russia and emigrated on the Orvieto to Australia in 1914. He was an accomplished violinist, but a "terrible miner". However, miners asked him to teach their children to play. 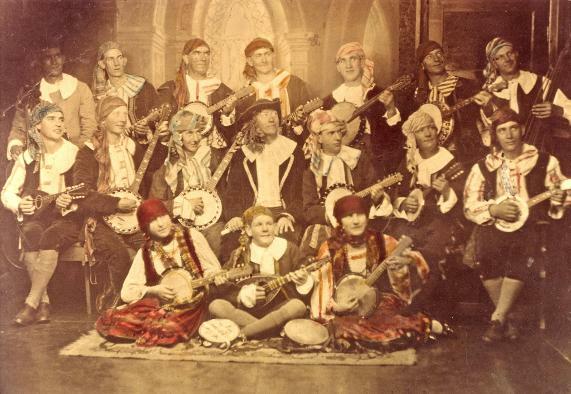 He then set up the Kurri Kurri Mandolin Orchestra, composed of mine workers, and instructed in several instruments. He taught his wife, Rebecca, nee Snidermann, whom he married in 1929, to play the cello. Some of his students went on to win prizes at the local and national levels, including the great City of Sydney Eisteddfod. Ernest Llewellyn from Kurri Kurri, son of a Welsh-born miner, went on to become the concert master of the Sydney Symphony Orchestra and conductor of the Canberra Symphony Orchestra and held many other important positions. Llewellyn toured with the pianist, Hephzibah Menuhin, amongst other important artists. Other students who achieved some fame included Leslie Chester, Ronald Ryder, Donald Blair and Nelson Cooke. 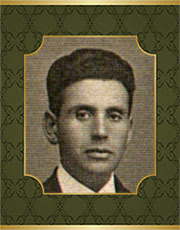 Gopinko moved to Sydney in 1936 where he rented a studio at W.H. Paling & Co's building. He taught there for many years, as well as at Maitland twice a week. He died in Rose Bay on 4 July 1980. Helga M. Griffin, 'Gopinko, Jascha (1891–1980)', Australian Dictionary of Biography, National Centre of Biography, Australian National University, http://adb.anu.edu.au/biography/gopinko-jascha-10330/text18285, accessed 27 February 2013. Surprises come in all guises. What could be more startling more startling to the gentleman concerned than his story published in the Adelaide papers on May 23 last.